Target lines, wrinkles, under-eye puffiness and dehydration with this silky, ultra-smooth eye cream that improves skin elasticity and renews the eye contour area. 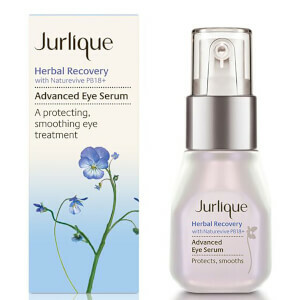 A revitalizing eye treatment to help firm, smooth and brighten skin around the delicate eye area. Designed to help improve skin elasticity and help reduce the appearance of fine lines and wrinkles. Features intense hydration and brightening properties to help diminish dark circles and puffiness. 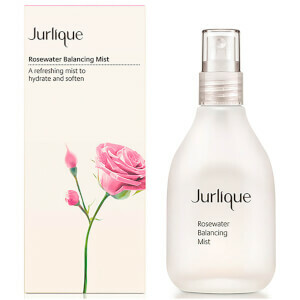 Helps reduce appearance of lines and wrinkles around the eye. Helps diminish dark under eye circles and puffiness. 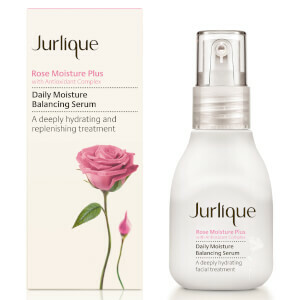 Helps to brighten and support natural collagen to keep skin looking firm. Apply a small amount to fingertips and press gently onto the delicate skin around the eye area, morning and night. Aqua (Water), Glycerin, Olea europaea (Olive) Fruit Oil, Simmondsia chinensis (Jojoba) Seed Oil, Polyglyceryl-3 Methylglucose Distearate, Silica, Sorbitol, Squalane, Helianthus annuus (Sunflower) Seed Oil, Sodium Stearoyl Glutamate, Ascorbyl Glucoside, Butyrospermum parkii (Shea) Butter, Rosa Canina Fruit Oil, Oenothera biennis (Evening Primrose) Oil, Tapioca Starch, Fagus sylvatica Bud Extract, Coffea robusta Seed Extract, Adansonia digitata Pulp Extract, Arnica montana Flower Extract, Euphrasia officinalis Extract, Cucumis sativus (Cucumber) Fruit Extract, Spilanthes acmella Flower Extract, Bellis perennis (Daisy) Flower Extract, Algae Extract, SD Alcohol 40-A (Alcohol Denat. ), Fragrance / Parfum*, Xanthan Gum, Bisabolol, Totarol, Phenoxyethanol, Ethylhexylglycerin, Sodium Benzoate, Limonene*, Linalool*. *From Natural Essential Oil.